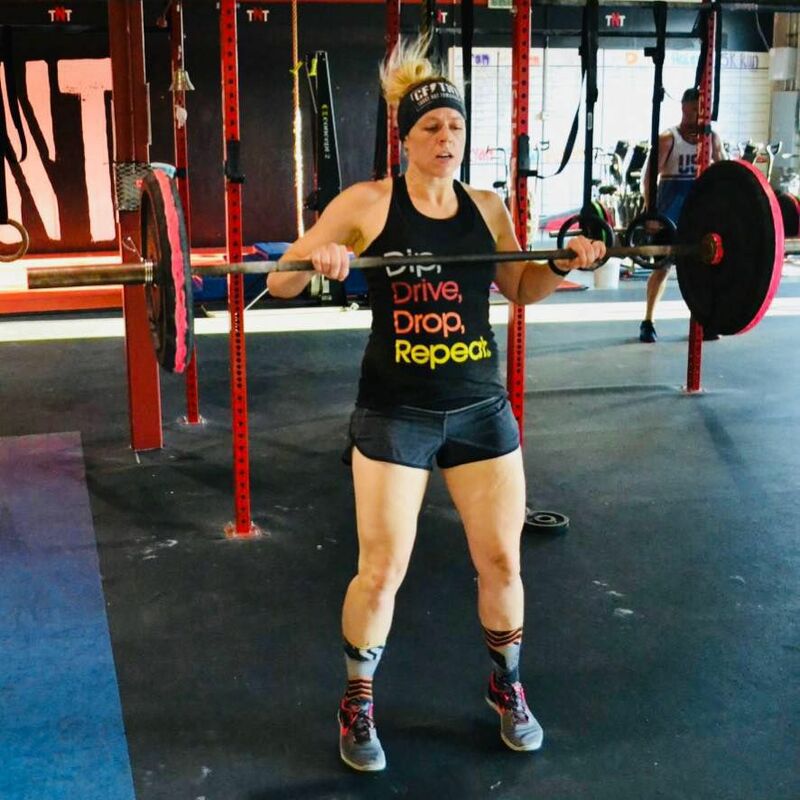 I started CrossFit in September of 2018 because I was heavier than ever and wanted to be a better example for our 3 kids. 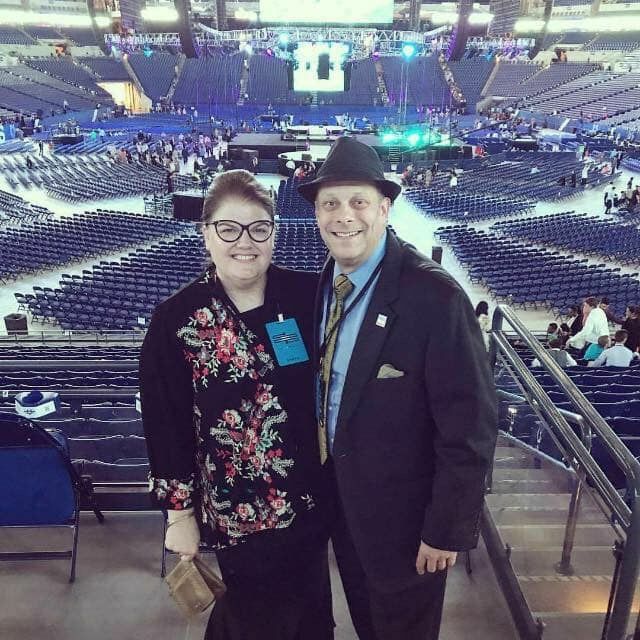 My wife, Alice, started at TNT months before me and was making great strides with her fitness and it was inspiring to me. With working out twice a week for about 6 months, I had lost 50 pounds. When I saw such great results, I started going 3-4 times a week and have made great strength and conditioning gains. I grew up riding BMX bikes and snowboarding so weight training and fitness wasn’t something I did much of. With CrossFit, I learned a whole new way of working out. At this point I have gone from scaled on nearly all workouts to being mostly intermediate or RX. 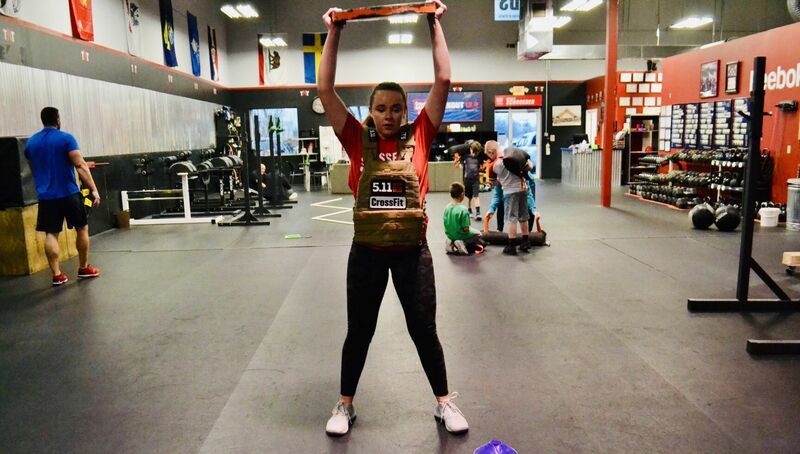 My favorite part of CrossFit, obviously besides barbell stuff, is when the WOD is over and you just have to collapse because there is nothing left and you know you gave everything you had. The TNT community is such a one of a kind place where you feel like part of a family and the staff is second to none. Special thanks to dawn patrol for making those early morning workouts more fun. As far as goals, I want to reach a point where I can be a consistent RX athlete. When I retire I don’t want to be someone in and out of hospitals dealing with weight/poor diet related health issues. I want to keep on with CrossFit and move into my 40’s in the best shape ever. Thanks to the coaching staff for all of your support and encouragement. Couldn’t have made it this far without you. 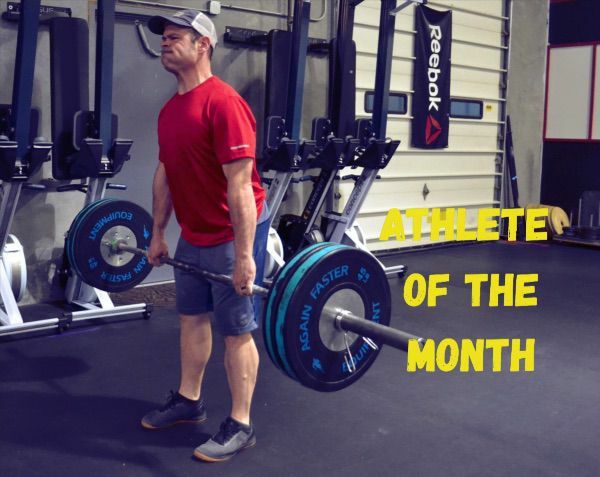 I’m so honored to have been chosen for athlete of the month at CrossFit TNT. A friend first brought me to a class at another box in 2017. I was immediately addicted and couldn’t wait for the next class. I periodically attended group classes there for about a year. 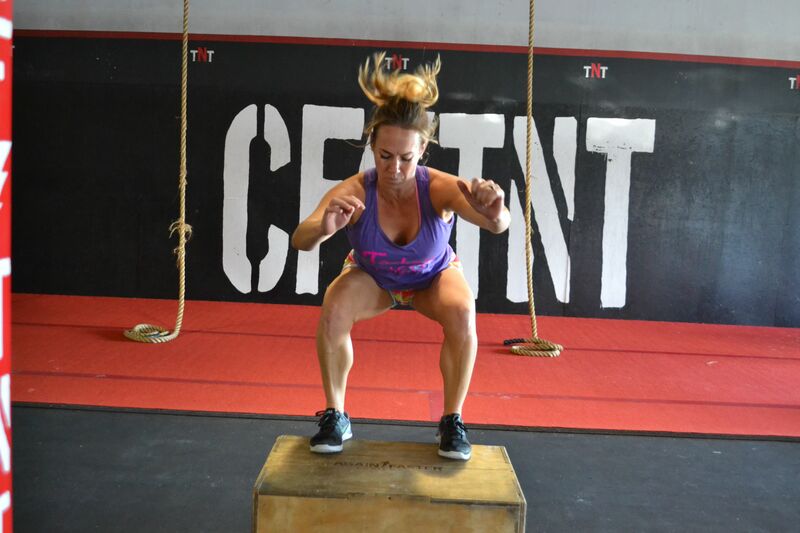 I found my home box at CrossFit TNT. As soon as I started group classes, I loved it. The community is amazing and the workouts are awesome. I love the motivation from the coaches and my fellow athletes. The main reason I started CrossFit was to lose weight, build muscle and to live a healthier lifestyle. It’s my dream to eventually compete at the CrossFit Games. I’ve changed my daily habits by eating better, getting more rest and improving my overall fitness goals. Without the help of my dad, I would have never been where I am today. I am so grateful for the coaches and the community. Every day I look forward to a new WOD. As surprising as it is to say, I love CrossFit and pushing myself to new limits. 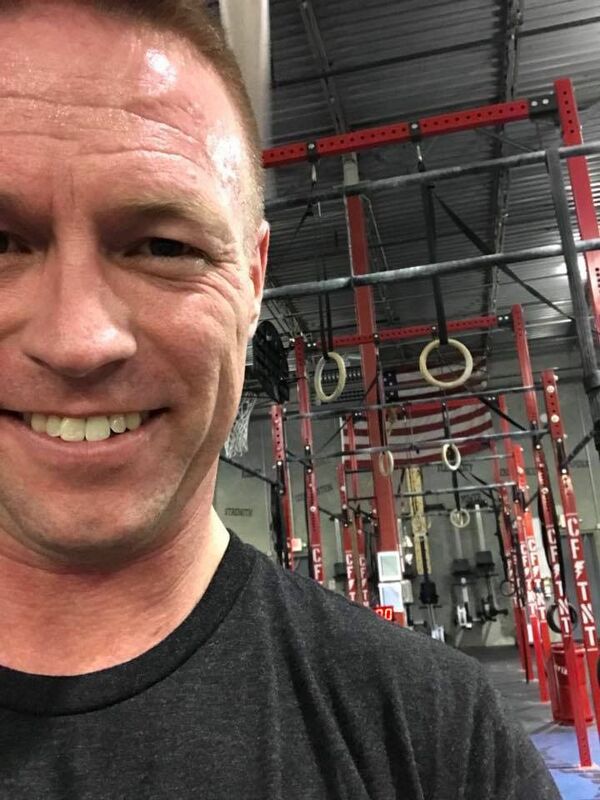 When I started CrossFit just over three years ago, little did I know how much I would enjoy going to “the gym.” I started CrossFit after my doctor told me I had elevated cholesterol. He said I could take medication or loose weight. At 38 years old, there was no way I was going to start taking medication when I was capable of losing weight. 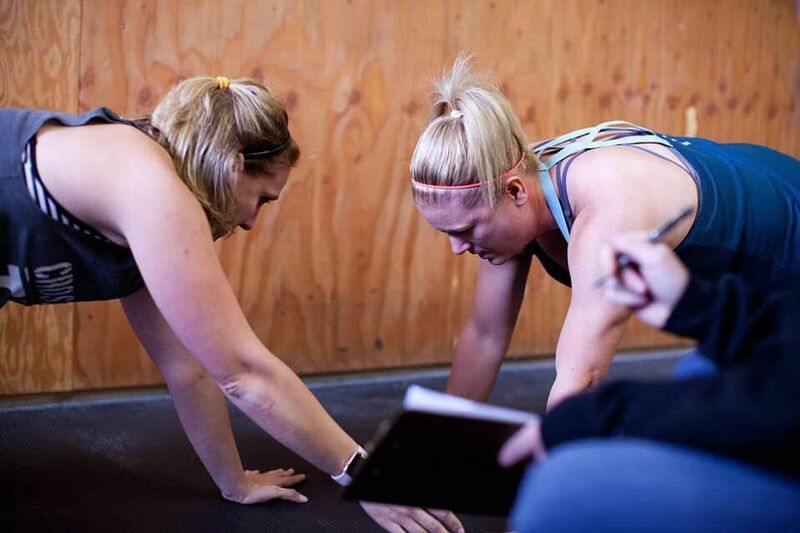 CrossFit re-introduced physical and mental workouts that I had not seen in years but also a focus on nutrition that you simply don’t find anywhere else. Fast forward three years, I not only found a healthier lifestyle but also a community of support along the way. I appreciate the coaches and those of you that have become my friends over the past few years. Sometimes you all push me harder than I am willing to push myself and we all need that. When people ask me why I “do” CrossFit, I tell them because there is no machine at a gym called “daddy, throw me in the air” or a machine called “carry me on your back.” Just a few weeks ago, when walking around Disney World, my 8 year old and even my 13 year old wanted to be carried, they said: “Come on dad, this is why you Crossfit!” So, they were carried! This past year was a year of ups and downs with the cancer diagnosis and passing of my father. When I was a kid, he very rarely missed a game or track meet I was in. So, this past year, I spent time doing things “one last time” like playing catch in Busch Stadium. Along with that, one of the highlights of the year was when he came to watch a few workouts during the 2018 CrossFit open. Having him around to meet everyone and watch one last competition was very special to me. I can’t say anything about CrossFit that everyone reading this doesn’t already know. So, I will just say thank you. Thank you to Rochelle and all the coaches for investing time in this business and in turn investing in all of us. And thank you to all the athletes at CrossFit TNT for pushing each other and being an active part of a fantastic community. 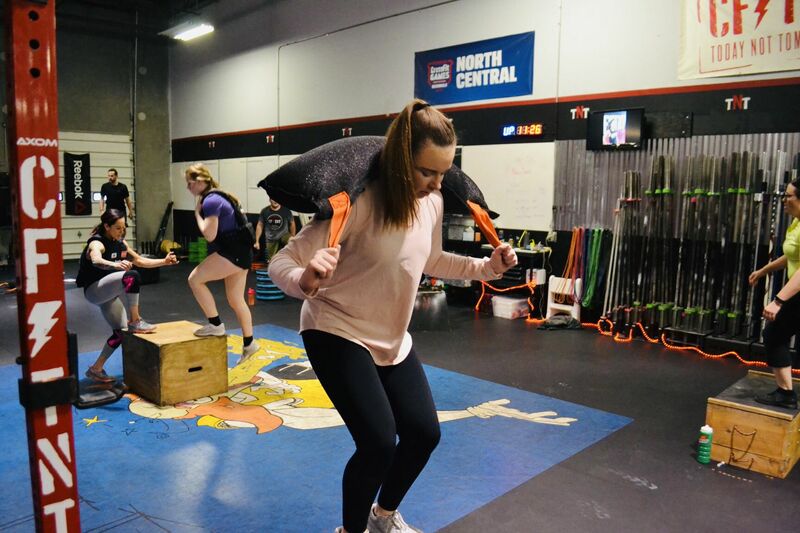 "I never thought I would say that I look forward to going to the gym, much less CrossFit, and I’ve never considered myself an athlete, much less a TNT Athlete of the Month! 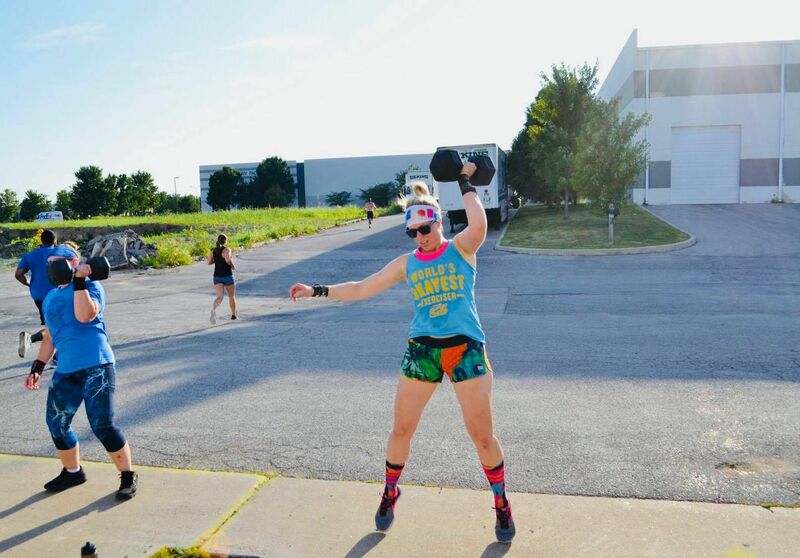 In fact, when I walked into TNT for my first Transformation Academy class in March of 2017, I saw people lifting barbells and thought, “nope!” I was looking for more energy to keep up with a set of twins and a four year old and stay reasonably sane at work – certainly muscles and callused hands were overkill! Fast-forward to today, and I’m high-fiving the 5 a.m. crew after busting out two dozen (albeit light) snatches, and then picking my calluses during meetings at the office (so gross, I know). " 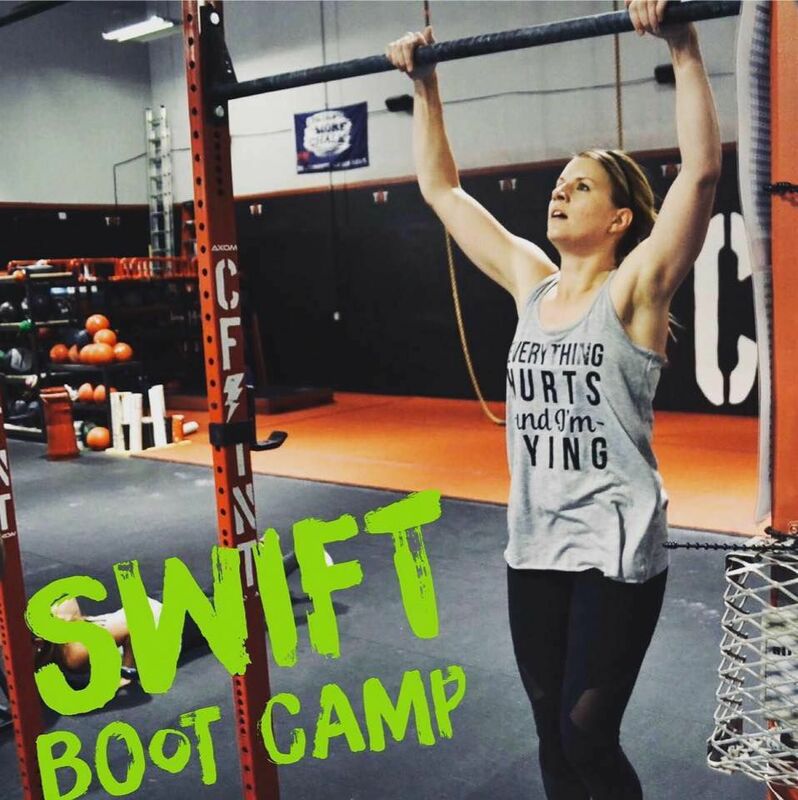 I started CrossFit at TNT seven years ago and it has become a part of who I am. It has become an addiction of mine and I consider it one of my main stress relievers. 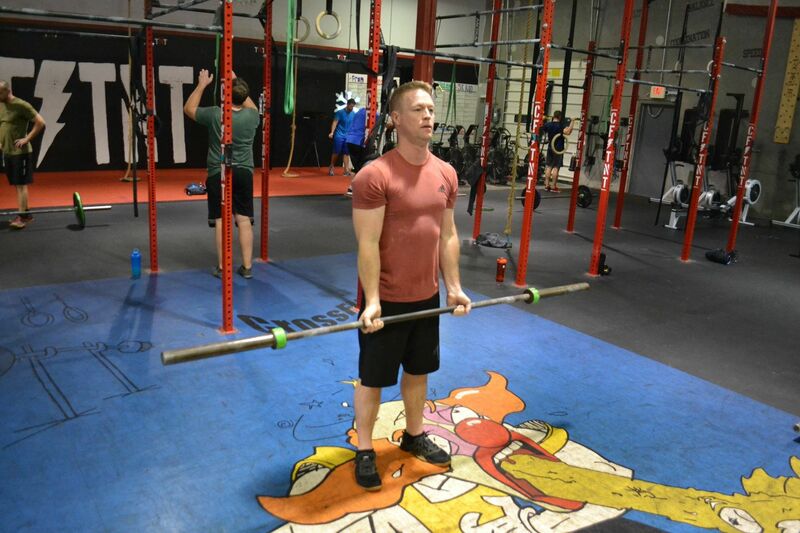 Crossfit has made me mentally and physically stronger, which is a must in my line of work. I have been a police officer for almost 13 years, so obviously it’s very important for me to stay healthy and strong. I would like to thank all of the coaches for their help and giving me that push during the workouts. I truly appreciate that they have noticed my personal progression, since I have been back at it after having my second child in Nov 2016. It would be a lie if I didn’t mention that it has been a real struggle juggling two young boys, working full-time, and trying to still get my workouts in every week. But, I promised myself I would not use that as an excuse and refused to put my health and fitness on the back burner. Even though I’m not at my goal weight, I feel like I’m the strongest I’ve ever been! I have made some great friends along the way and I truly believe TNT has the best athletes and coaches around!! 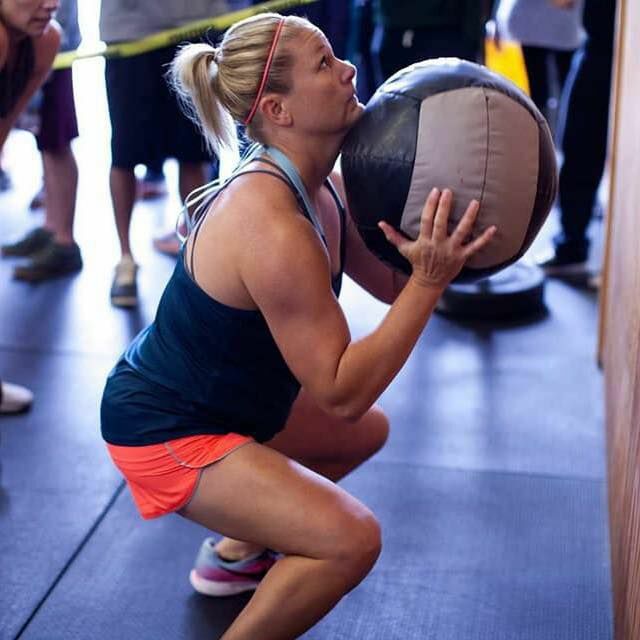 "I look forward to the challenging WODs, new friends and the progress that came with this commitment. I am able to do things now that I couldn't have imagined doing 10-15 years ago. I am able to run (while not very fast) several miles with a 20# weight vest, multiple rope climbs, and even those squats I was told to avoid have increased by 35# (without any injections or pain) in two years. I love that I have a lot still to work on and that I get to do this with family at TNT." Oh my goodness thank you! I really love the CFTNT family and can't imagine my life without you all! Everything about the gym (staff, members, facility) is amazing and is a stress reliever. I started CrossFit back in 2009 after my husband showed me a picture of a guy doubled over after having puked from doing Fran. I think he showed it to me as a joke however I wanted to see what it was all about because I was bored to death at my local globo gym. 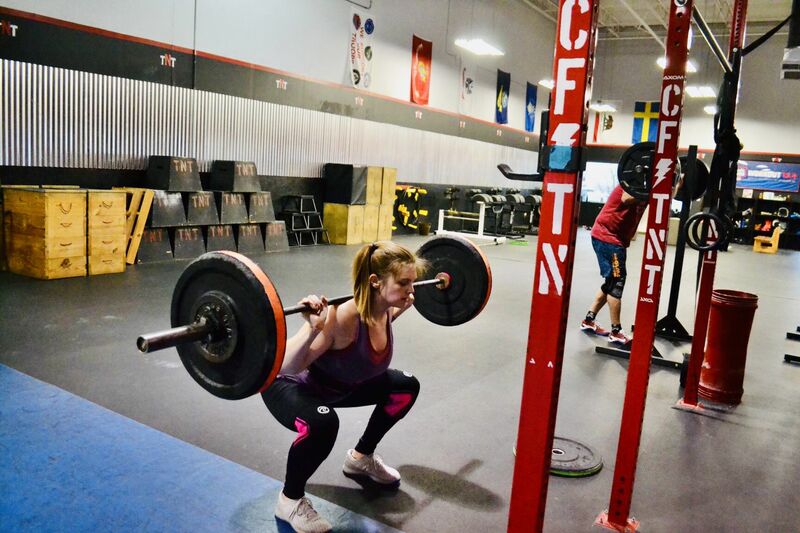 After doing some research on the internet I learned CrossFit is not about exercising until you puke, however it is constantly varied, functional movements, performed at high intensity. 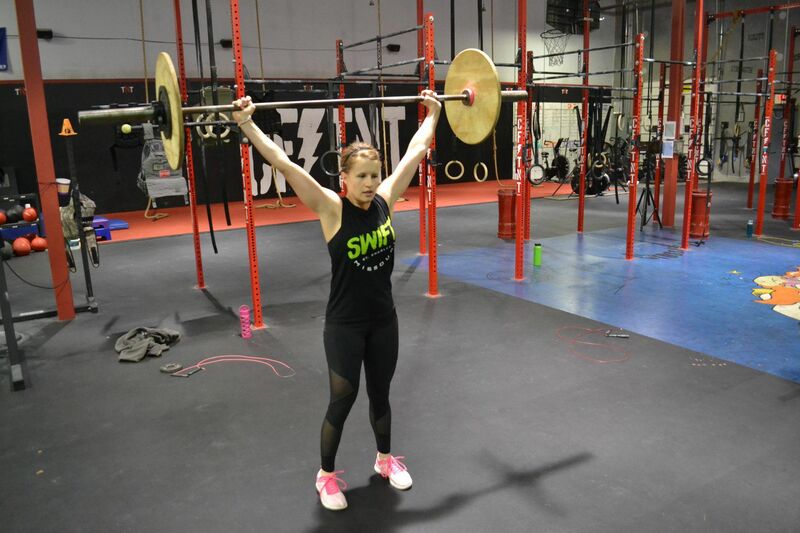 I looked up my local gym (in VA at the time) and went through the on ramp program and thus started my journey with CrossFit. 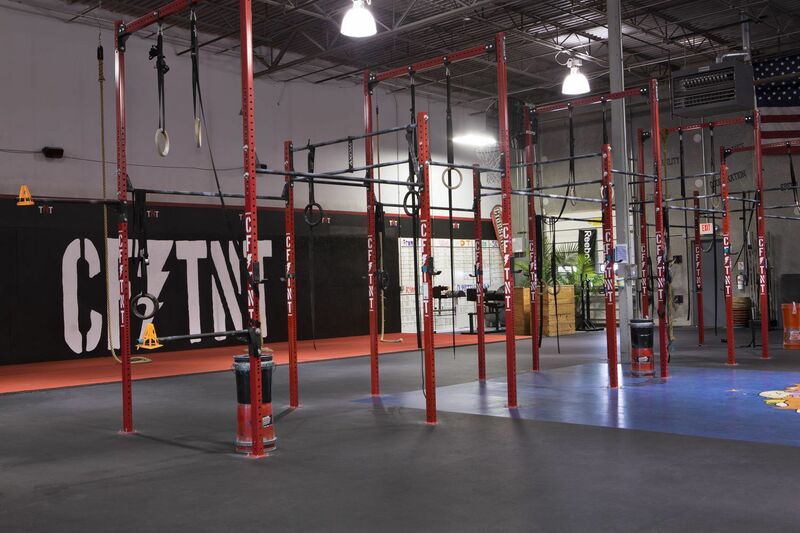 Since that time we have moved to several different states and I’ve been able to find a CrossFit gym each place we’ve moved but I have to say, of all the gyms I’ve been apart of, CFTNT is one of my favorites. The staff, the members, and the facility are all top notch and I could not be more grateful for the place that TNT has in my life. The coaches at TNT push you to be better than before and the members inspire you to push harder than you thought possible. Thank you for choosing me to be athlete of the month and I look forward to continually being better than yesterday.